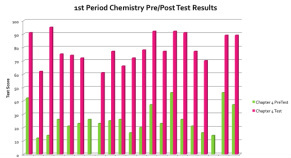 Goal #1: 80% of students will meet 80% or better for a chosen chemistry lab. 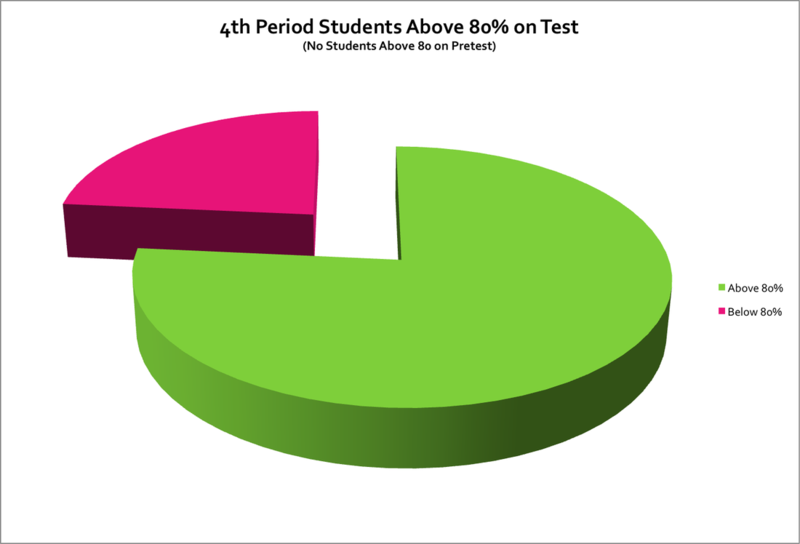 The three class average for this lab was 84%. Refer to the complete spreadsheet for individual details. 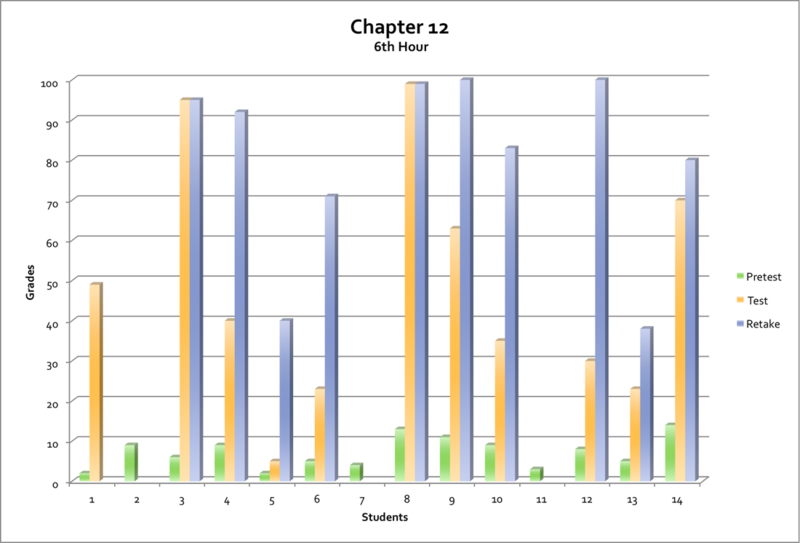 Goal #2: 80% of students will meet benchmark(80%) in chemistry chapter 4. Chapter 12 in Chemistry is the most comprehensive chapter. In this chapter students need to understand chemical formulas(Chapters 6-9), chemical equations and balancing(Chapters 10,11) and stoichiometry (Chapter 12). This is the hardest chapter and the pre and post tests confirm this. This is one chapter that I have students show all of their work and it is graded with partial credit weighted on the work. Below is a link to the Chapter 12 Test taken by one of my chemistry students. 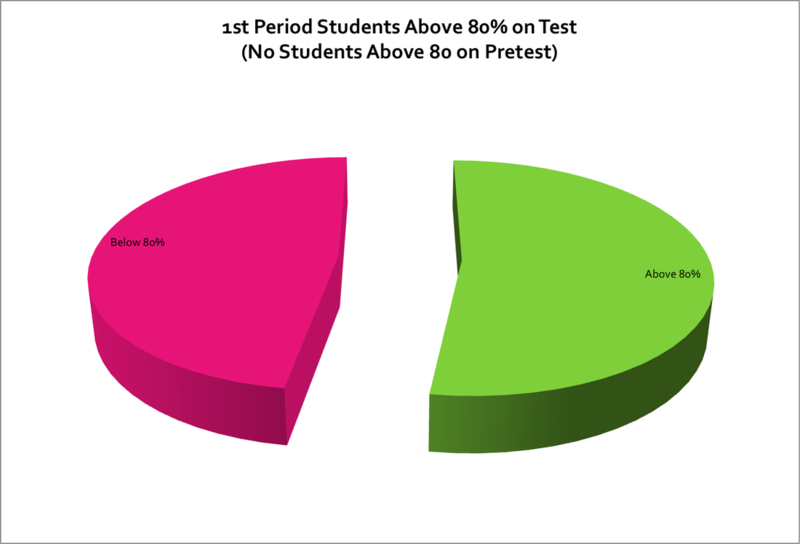 Chapter 12 test included a pre-test a post-test and a retake test. 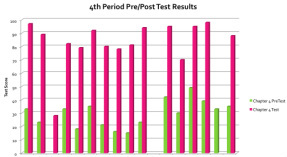 The retake test was necessary because of the scores on the post-test. We worked on the material more with my demonstrations and students helping students. The following results show tremendous growth at each step. 3. Pick your own topic. Paper requirements: You need to write a 1 to 2 page paper explaining chemistry's role in the topic that you choose. You need to use the essay rubric to construct your essay. Besides this essay assignment students have had general essay questions in their daily homework and tests. Goal 4: Evidence of technology use. Sustained use of technology to enhance lessons/differentiation/communication. This will demonstrate the use of YouTube, lessons, and other worksheets and assignments posted on my pages. Wolfram for Calculus: This app was essential for finding definite integrals among other topics. We used this app also to find answers and show solutions. Wolfram for Chemistry: We used this app to check homework and look up element information quickly. This was a tool to balance equations and convert units along with many other calculations. Khan App: This app made it easy to watch and find Kahn academy videos on the iPad. Desmos: This program was used in Calculus and Algebra II. 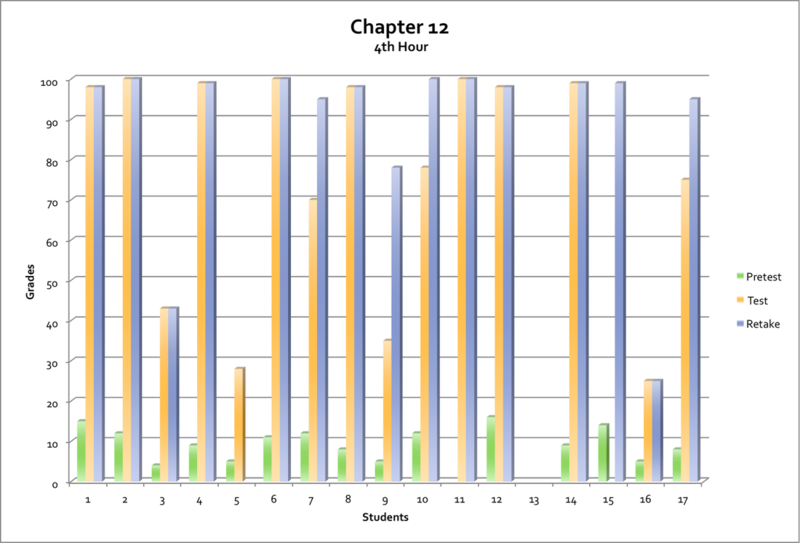 This is the best graphing app that I have ever used. It is a lot easier than using the traditional scientific calculator for graphing. This can be easily displayed on the projector using the apple TV also. Periodic Table: This app not only displays the periodic table but also easily shows properties of the elements all at the touch of a button. This saves so much time compared to finding in reference books. Evernote and Penultimate: These apps work together and let my calculus kids in particular take all of their class notes and do their problem sets electronically. The kids in Calc this year did not use any paper by the end of the year. They now have their notes and problem sets forever in the cloud to be used next year in college. Convert Me: This app was used for a very quick and easy way to convert units of any kind. This app was used both in chemistry and math. Goal #5: Evidence of differentiated instruction. Sustained use of differentiated instruction/learning in the classroom. 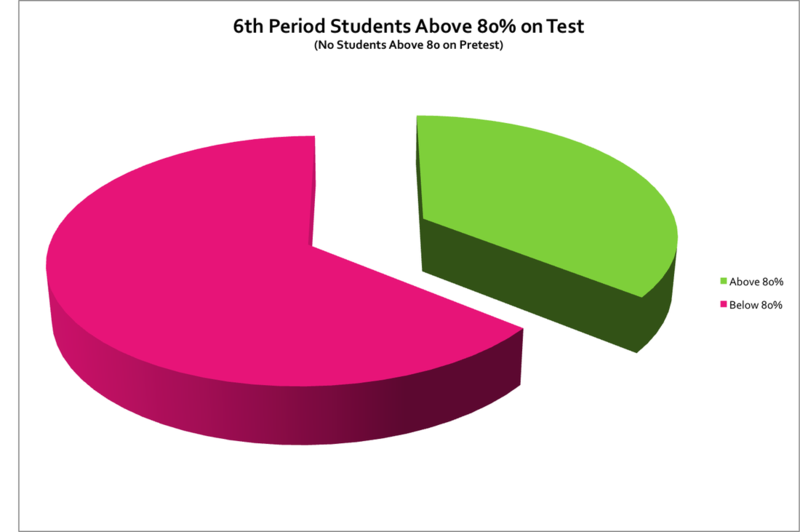 * Students in Calculus were assigned groups and presented lessons to the class. This was video taped and a example was given to Mr. Tini on a thumb drive because the files were too large to put on this website. * The use of technology in the above goal section was the core of differential learning in my classroom. Students were allowed to use their iPads to watch my examples, look at notes without having to write everything down, watch Youtube videos that I suggested along with searching for their own, and use many other resources provided on the web pages as stated above. * Chemistry labs were another outlet for students to learn in a different way. I have some stats on the labs on the spreadsheet and it was one of my goals above. * Computer programming class is another example of differentiated learning. The students not only learned from books and examples they would learn from each other and search sites and blogs for information. 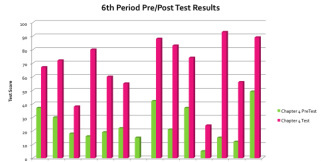 Each student at the end of the year created a program of their own as a final exam. One example can be seen in the coffee shop. This program is the cash register for the shop. I would love to demonstrate this to you anytime you want. It does all the calculations and the user just has to hit pictures on the screen. It also keeps track of inventory and creates a file for review.